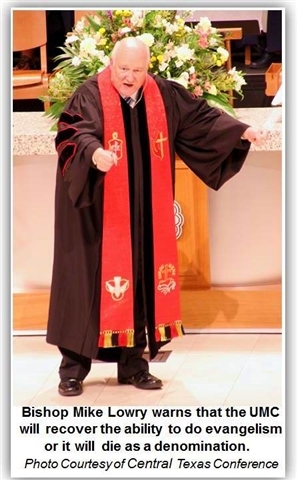 The United Methodist Church in the United States suffered membership losses of close to the entirety of the Memphis and Alaska conferences combined in the past year. 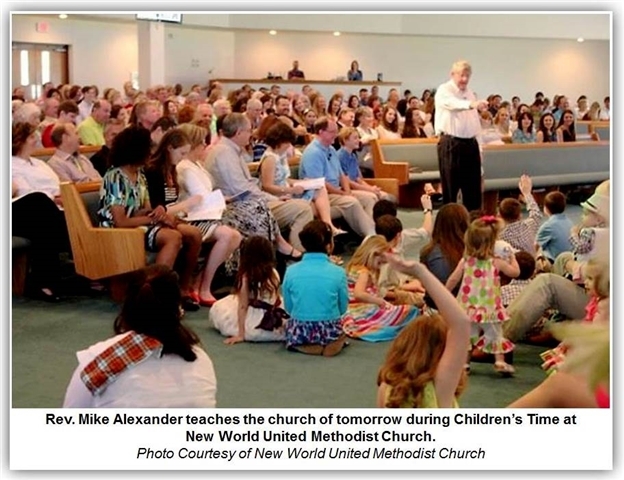 Between 2011 and 2012, our denomination has seen a reduction of at least 85,631 U.S. members. The U.S. church also saw, on average, at least 50,276 fewer people in worship each week. 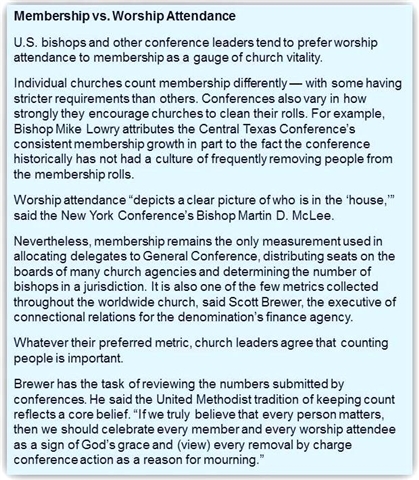 This snapshot comes from reports from 56 of the 59 U.S. annual (regional) conferences, which followed spring and summer gatherings. These totals are not yet official and could face a few adjustments, but the trend seems clear. The numbers do continue a decades-long slide in U.S. church affiliation that extends well beyond The United Methodist Church. But these figures do not give the full picture of the denomination’s presence in the United States, much less the global United Methodist Church. Some United Methodist leaders across the United States tell a different story — and they have the numbers to back them up. 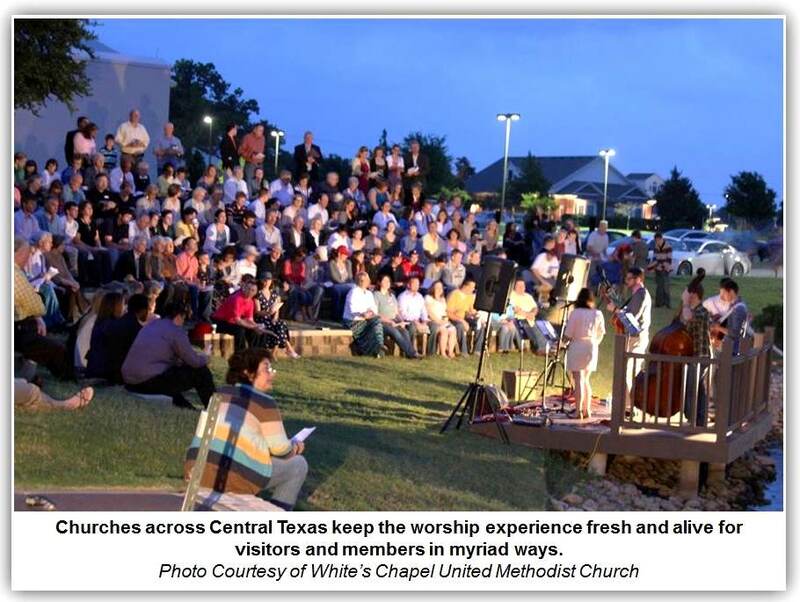 Seven U.S. conferences increased in worship attendance, and eight gained members in 2012. In fact, at least one conference in each of the five U.S. jurisdictions experienced growth in either membership or worship attendance. Two — Central Texas and Northwest Texas — reported both membership and attendance growth. When asked how his conference has been able to sustain a period of growth, Bishop Mike Lowry, who leads the Central Texas Conference, replied that there were many factors to consider and cautioned that churches cannot rely on any one “silver bullet” for growth. Among those factors is having churches located in areas with an overall population growth. 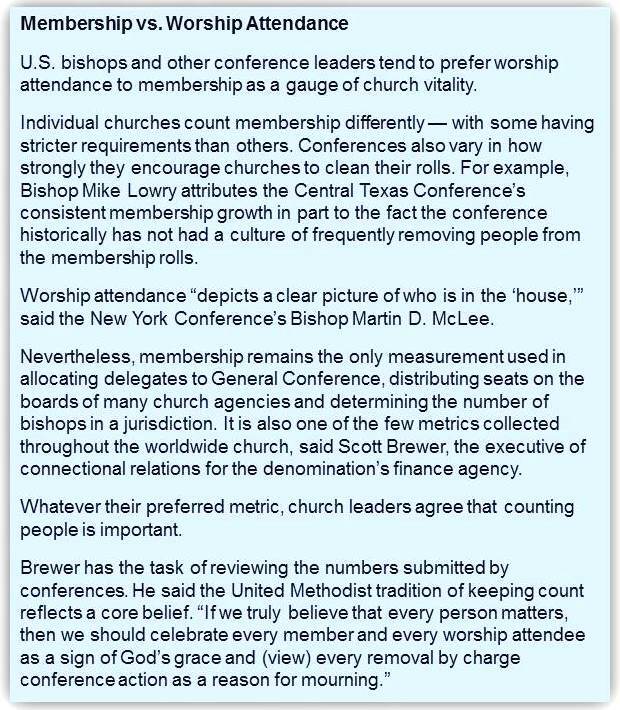 Bishop Lowry feels it also helps if the conference already includes churches with a weekly worship attendance that exceeds 1,000 in worship each week. Bishop Lowry and leaders of four other conferences that experienced growth recently shared their insights on increasing vitality in the U.S. church. All are quick to point out that conferences in general can do more to help reach new people. Their suggestions fit into four broad, interrelated categories: Developing new churches, transforming existing ones, sharing a vision and committing to evangelism. Leaders of growing conferences agree that establishing new Christian communities is critical to vitality in the present and growth in the future. His conference added 325 members last year, bringing the total to 166,857, while average worship attendance increased by 287 to a total of 46,894. Rev. Greg Kroger of the Dakotas Conference said the local church with the largest increase in worship attendance is one of the newest — Embrace Church in Sioux Falls, S.D., founded in 2007. His conference also has raised more than $250,000 for a ministry plan to reach out to the Bakken region of North Dakota, where an oil rush is drawing thousands of people to the area. The New York Conference, which encompasses the New York City area and Connecticut, has been taking that approach, said Bishop Martin D. McLee. 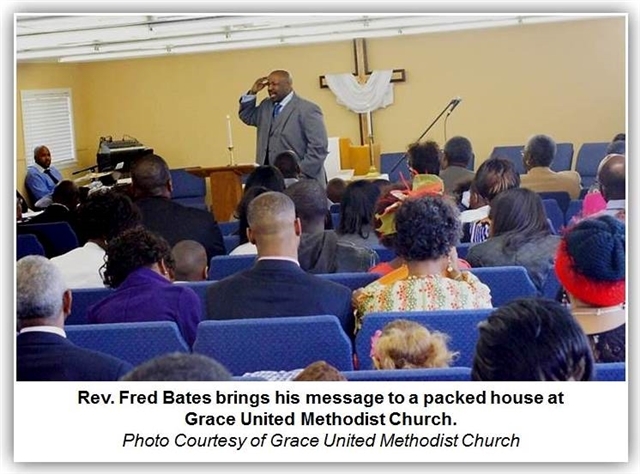 The conference’s weekly church attendance was 34,512 in 2012, up 118 people since 2011. He credits that gain to the conference’s efforts to form new faith communities and bolster already-existing churches. The Central Texas and New York conferences are among the 11 conferences participating in Team Vital, the newest phase of the denomination’s emphasis on vital congregations. The conferences are working collaboratively with each other and the denomination’s Council of Bishops to double the number of highly vital congregations during the next four years. The conference’s efforts have borne fruit. For the second consecutive year, the Dakotas reported increases in average weekly worship attendance. It gained nearly 370 people in 2012, achieving total average worship attendance of 20,511. The North Georgia Conference posted an increase of more than 4,000 members in 2012, by far the largest numerical gain in the United States. Both Central Texas and North Georgia have reported membership increases for 39 consecutive years. The Rev. Debby Fox, vice chair of the conference’s board of connectional ministries, said one of the primary ways the conference provides training is through its Connectional Cafe, an online catalogue of 150 workshops for clergy and laity. “I believe that active engagement in learning throughout our lives is essential to growing disciples, engaging them in ministry as they are gifted and called, and encouraging them to live in faith every day,” Fox said. Bishop Cynthia Fierro Harvey, who leads the Louisiana Conference, shared a related point. “I believe our churches experience growth when they are relevant to the communities around them,” she said. “When we connect in significant ways, when we tell the gospel story, when we reach out and draw in, when we make a difference in the lives of people — it is then that we come face-to-face with the living God. It is then that we can transform not only their lives, but (also) ours, and the world.” The Louisiana Conference saw its worship attendance grow by 584 people to 30,596 in 2012. Globally, The United Methodist Church has been growing. The General Council on Finance and Administration, the denomination’s finance agency, reported that in the five-year period ending in 2009, the denomination grew from almost 11.6 million to nearly 12.1 million professing members. GCFA plans to release updated official global figures in October.